When most people hear about the illegal ivory trade they usually think of it taking place in remote destinations overseas, far from the coasts of America. What if we told you that the Pacific Northwest was home to such activity? While endangered animals are not being killed in places like Seattle or Portland, the products of these illegal killings are being sold in the Northwest. While it may not be the largest market for illegal animal product sales the states felt that it was enough of a problem that a law was passed in both Washington and Oregon that outlawed the trade or sale of products made from certain endangered animals, such as elephants, tigers, leopards, cheetahs, and rhinos. Both states passed the laws after voters backed the measures in overwhelming margins. With the Northwest being a gateway to countries where these items are sought they are often brought into the country here such as furs, boots, skin cream, and even elephant tusks. Recently, two Washington men were the first to be charged under the new law for allegedly selling ivory. 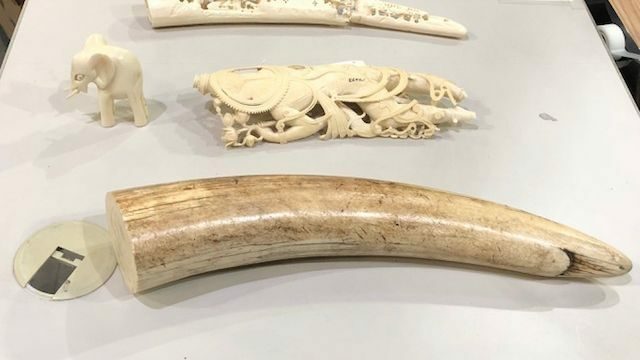 One man was charged after caught trying to sell carved ivory on eBay. 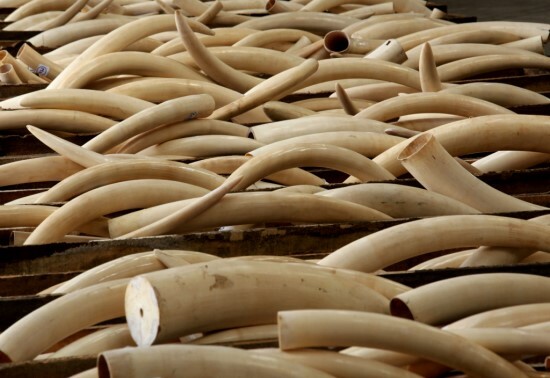 While eBay forbids the sale of ivory, traders use code words to try to disguise the fact that the item is illegal. The second man was allegedly selling ivory on craigslist which makes us wonder if those ads were disguised at all, knowing craigslist’s reputation. The man was said to be in possession of close to 2,000 different ivory items at the time of the initial investigation. While neither suspect has been jailed, they’re both facing a potential five years in prison, a $10,000 fine and a $4,000 criminal wildlife penalty paid to the state. If you live in Washington and you happen to be in possession of a piece of ivory that was obtained before the 2014 ban you can give them to state law enforcement where they’ll be used in education programs to combat wildlife trafficking. Marketplace app OfferUp has found some success since they first launched. While their platform hasn’t been trouble-free due to a number of robberies and a handful of murders, they feel successful enough in their endeavors to take on a much bigger company in eBay. Recently, OfferUp announced a new feature where users can advertise their items nationally if they’re willing to ship it across the country. This is actually a pretty good idea as the new feature can expand a user’s customer base and since it appears to only accept payment through credit or debit cards it avoids the phony check scam that has plagued craigslist through the years. However, that’s not to say that OfferUp’s new business plan isn’t without its drawbacks. The first problem is that in a world where many users have Amazon Prime accounts will customers be willing to pay for shipping when they get it free through Amazon. The second problem is funding. OfferUp has been very tight-lipped when it comes to their financial status. While they have raised millions of dollars through angel investing, no one seems to know if OfferUp is turning a profit or not. While on the surface this feature seems designed to put some money in OfferUp’s coffers, will it be enough to sustain them in the long run, or will they become yet another story of a failed startup that relied to heavy on venture capitalists? 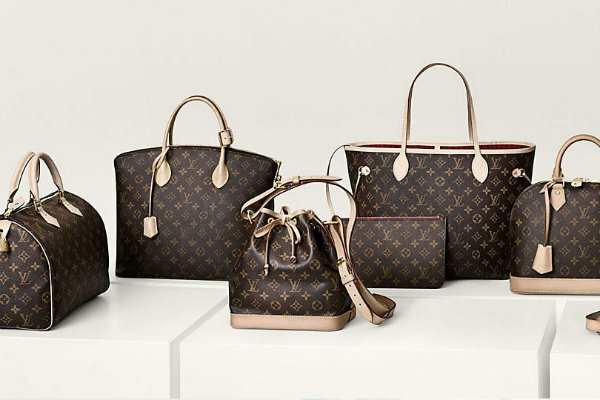 If you’re an aficionado of designer accessories made by the likes of Louis Vuitton and Gucci, but are looking to buy them at a discount then you probably know the hazards of trying to avoid the counterfeits. Designer knock-offs have always been a blight upon the fashion industry and have been linked to everything from organized crime, to human trafficking and even terrorism by some reports. You almost have to act like an FBI investigator to try to authenticate any designer goods being sold online. However, you may not have to do that for long as eBay claims they’ve got your back. The online retail pioneer has just launched a program they call eBay Authenticate. For a fee, eBay will have a professional authenticator review the physical receipt of the item in question before allowing it to be sold to a buyer. This service is said to be specifically for the brands of Louis Vuitton, Hermès, Chanel, Gucci, Céline, Fendi, Christian Dior, Prada, Goyard, Balenciaga, Valentino, and Burberry. eBay says they expect to have more brands included in the program in 2018. So if this program is a success for eBay is stopping counterfeit sales, where will counterfeiters go to peddle their wares? I think we all know the answer to that. I won’t mention them by name, but it will probably be a certain classifieds site that does not care enough for their customers to moderate their own ads. In case you need another hint, their name rhymes with draigslist. Is Facebook Marketplace looking to take a bite out of eBay? 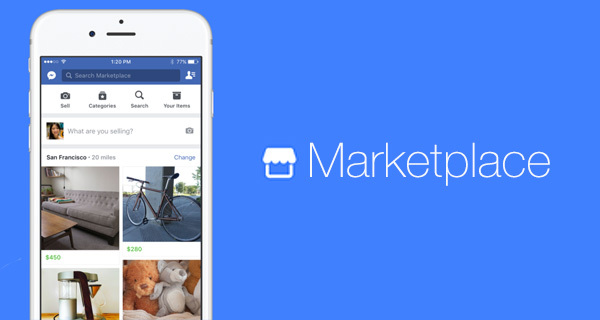 In Facebook’s further attempts to be all things to all people, they are looking to expand their Marketplace feature to include not just private sellers but businesses as well. This would put Marketplace not only at odds with sites like craigslist, but now would pit them against Amazon and eBay as well. Both of the aforementioned online retail titans have allowed businesses of all sorts to sell their wares through their websites for years now. The main difference between Marketplace and eBay is Marketplace does not offer a payment service to use like how eBay relies on PayPal. Sellers and buyers are still expected to work out the financial dealings on their own. As we’ve pointed out in the past, since Marketplace doesn’t moderate their ads well, if at all. This could still lead not only to fraudulent transactions but could also lead to other dangerous incidents such as robbery and the like. However, it appears Facebook is only halfheartedly behind Marketplace, not as a disruptor in the online retail space, but more as a way to keep users from wandering out of Facebook’s walled garden. As nice as a garden may look, if you try to prevent users from going elsewhere then it’s just a well-groomed prison. In the battle for supremacy, is one retailer fighting to survive? While Amazon and Walmart continue their battle of the retail titans, another player has entered into the fray and thrown down the gauntlet towards its larger opponents. While never far from the consumer conscience, eBay is not the retail stalwart that it once was. However, recently, they have thrown what could amount to as a monkey wrench in the plans of Jeff Bezos and the Walton Family. The once and future online auction king has been pivoting their business model for some time now. It first started with the ‘buy it now’ prices. Now it seems eBay has pivoted even further toward being a pure retail outlet by offering their new Price Match Guarantee. eBay says they will match the prices from Amazon.com, BestBuy.com, Walmart.com, HomeDepot.com, Target.com, Sears.com, Wayfair.com, and Jet.com. The catch is, the items have to be new and in the manufacturers packaging and you have to contact eBay customer service to get the price break. eBay claims 90% of the items on their site are eligible for these deals. While there are some hoops to jump through in the process, on the surface it seems like a great move by eBay. However, it can also be looked at as an act of desperation by a former industry leader. So we ask you, do you think this is an act genius or an act of despair? Please let us know in the comments. Many online retailers, including giants Ebay and Etsy, have banded together, and have vowed to stop the illegal sale of wildlife parts on their sites. This new initiative was announced this past Friday which coincided with World Elephant day and is a collaboration with the World Wildlife Fund, the International Fund for Animal Welfare and TRAFFIC. Believe it or not the trade of illegal ivory from elephant tusks is still happening. Elephants are still being poached and slaughtered for their tusks to make jewelry, carvings and other items. While most of the demand for ivory comes from eastern Asia, the United States is also one of the top countries where people buy ivory. There is an international ban against ivory trading that was instituted in 1989. However, in 2007, countries that had stockpiles of seized ivory were allowed to sell their ivory inventory. This allowed for illegal ivory to work its way back into the international market. Unfortunately there are a number of ivory consumers who are unaware that ivory can only be harnessed from the elephants by killing them. The suppliers of illegal ivory will only be shut down when there is no longer any demand and hopefully this initiative goes a long way in helping to achieve that goal.